(Reuters) - Twenty-First Century Fox Inc's quarterly profit and revenue topped Wall Street targets on Wednesday, thanks to the popularity of edgy superhero movie "Deadpool 2" and as the company's cable unit earned higher fees from distributors. The results - which showed most of Fox's businesses were performing above expectations - come as the Rupert Murdoch-controlled media conglomerate prepares to sell the bulk of its film and TV assets to Walt Disney Co in a $71 billion deal. Revenue from both Fox's film and cable divisions topped financial analysts' estimates comfortably in the fourth quarter ended June 30. Fox's filmed entertainment unit saw revenue jump some 27 percent to $2.3 billion, driven largely by the success of "Deadpool 2," in which actor Ryan Reynolds plays a foul-mouthed superhero. The film, distributed by Fox's Twentieth Century Fox studio, has so far grossed $730 million worldwide at the box office. Affiliate fees, the fees Fox receives from cable operators, climbed 12.3 percent to $3.57 billion. 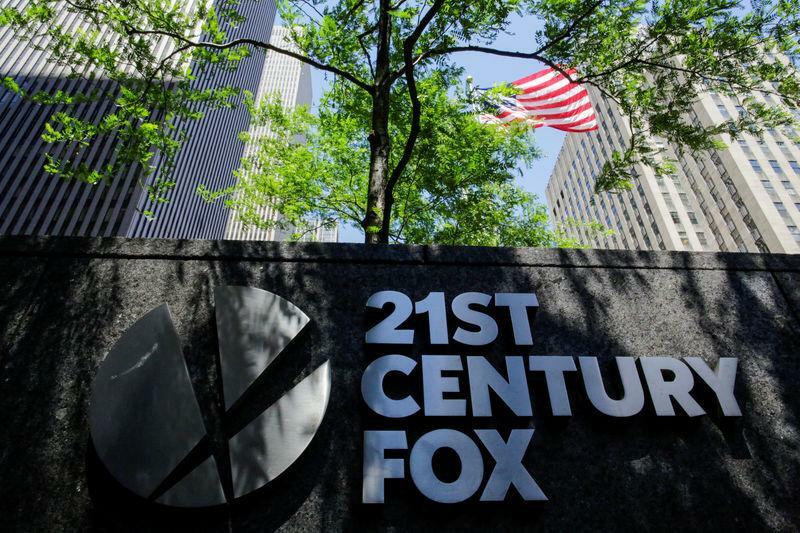 The growth reflected "subscriber increases in both digital (multi-channel video programming distributors) services and our younger under-penetrated channels," Fox CEO James Murdoch said on the conference call. The Indian Premier League, a hugely popular cricket tournament airing on Fox's Star India and watched by over a billion viewers, drove a 55 percent surge in international advertising revenue. Overall, Fox's revenue jumped 17.7 percent to $7.94 billion, topping expectations of $7.56 billion. Net income attributable to shareholders increased to $920 million from $476 million a year earlier. Excluding one-time items, Fox earned 57 cents per share, topping analysts' estimates of 54 cents. Fox is also trying to buy the 61 percent of British pay-TV group Sky it does not already own. On Tuesday, Fox triggered a 46-day deadline to raise its bid for Sky in a battle with Comcast. The company now has until Sept. 22 to trump Comcast's offer for Sky.